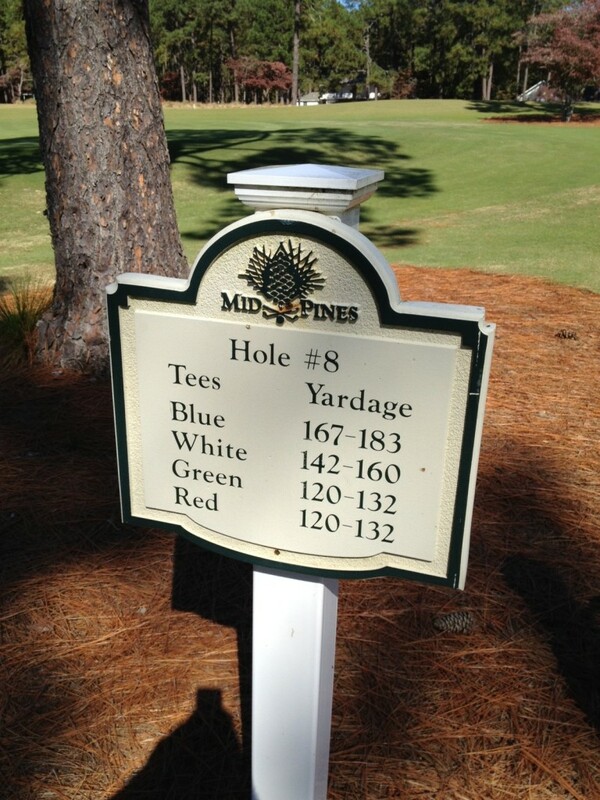 We are playing golf this week in Pinehurst, NC. 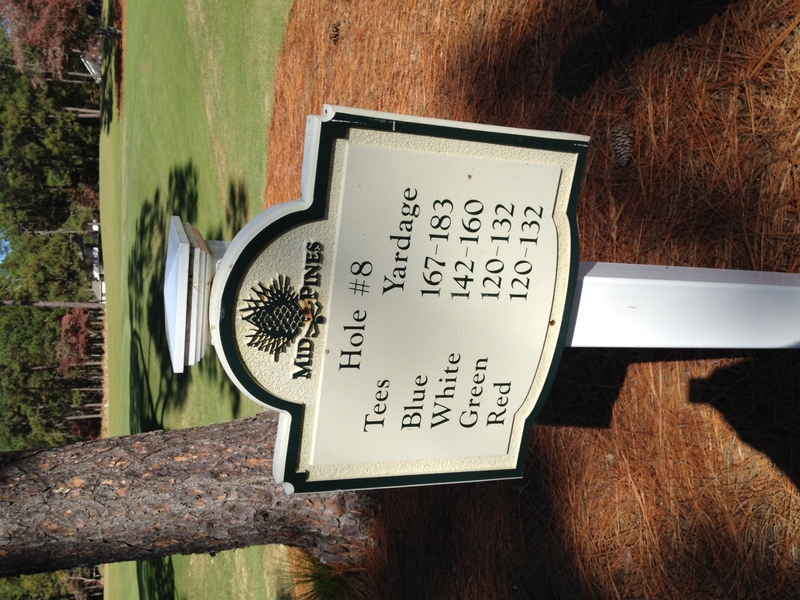 Today, we played the Donald Ross course, Mid Pines. The greens were incredibly fast. My home course in Cincinnati has fast greens, but nothing like this. Not only were they hardwood floor fast, they had breaks in them I couldn’t read. Suffice it to say, I three putted most of the day. 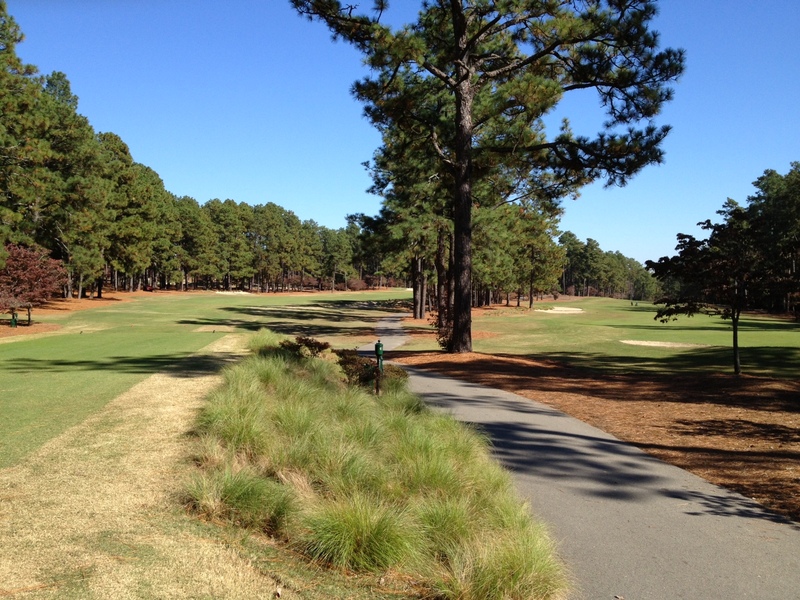 The course isn’t that long, but the small, fast greens are elevated and protected by bunkers.